Q#1: Are you a Bay Area Native? and if not, how long have you lived in the Bay? Amy: Yes, I am native to the East Bay. Seems like a rarity these days. I was born at home in Berkeley on Berkeley Way and Grove (now MLK). Raised in the Rich, aka Richmond, California. Q#2: When did you start on the creative path you are currently on? Amy: Our first event “Soul Tempura” began in the year 2000, named after Peven Everett’s record who we were heavily into at the time. This marked the birth of Relevant Sound. I’ve been promoting underground global-soul music ever since. Q#3: Where do you find your inspiration? Amy: L O V E. I love the music. I love my crew. I love the East Bay. It’s an incredible time right here, right now. So many beautiful folks 100% invested in making (((where we live some place we want to be))). It’s truly incredible. Blessings around every corner. Amy: PLEASE SUPPORT THE LOCAL BEAUTY! *Buy ART from local artists! *Buy RECORDS from your local record store! Let’s keep it movin’ everybody. Hey Amy! If this is you my old friend from portala jr high, email me djohnst76@yahoo.com! What’s it been 15 years? 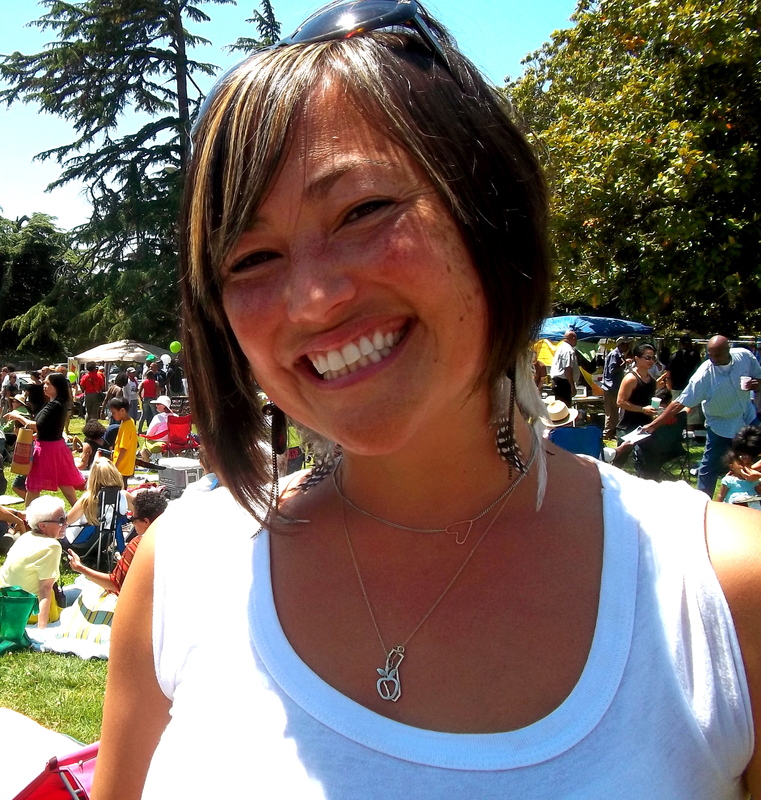 Thank you Amy for holding it down in the East Bay – producing high-quality, soulful events and spreading good music!